Now open the handler UI application. Now download and install Opera Mini 7 handler application. This Opera Mini will install seperately. If you have Opera Mini already installed, this Opera willnot replace it. Now enjoy free internet in vodafone. 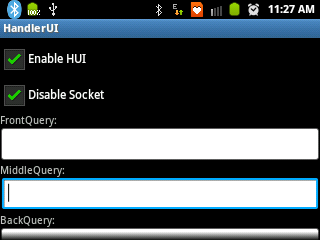 Change network mode to WCDMA/UMTS mode to enjoy 3g speed! Note: The Application HandlerUI must be running in background whenever you want to access free Internet using Opera Mini. You can launch it and minimize it before opening Opera Mini anytime. I tried everything except the APN. Where should I change the APN as 'portalnmms'? hello bro this opera is not installing on my samsung galaxy y say how should i install it..
hello bro this opera is not installing in my samsung galaxy y say how shud i install it..
why my opera mini handler cant install? when I install, system say application not installed. why my opera mini handler cant install? when I want to install, system say application not install. HELP ME!!!! Who can help me? hey bro! it does not working. does it requer data Balance? what is the proxy and port? plez help me to declare.